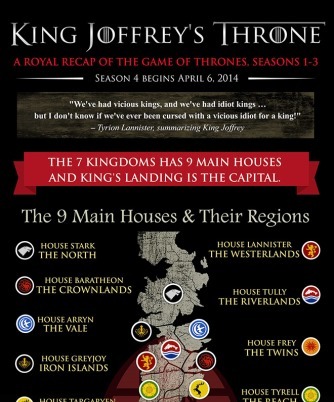 Check out the royal recap for the current season of Game of Thrones by Canadian Pharmacy King! The HBO fantasy epic premiered its fourth season on Sunday, April 6 2014 with a whopping 8.2 million viewers tuning in to watch. One thing's for sure - Game of Thrones has captured the imaginations of everyone who watches it. How do you feel the new season is rolling out so far? President Obama promoted Obamacare in "The Ellen DeGeneres Show", specifically asking mothers to reach out to their kids and tell them to sign up for Obamacare. 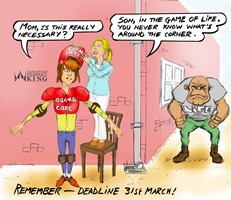 As March 31 deadline looms, a mother was attempting to protect her son from the dangers of life medical situations by clothing him with "Obamacare". Most people generally think of spring as the time for cleaning out those overrun closets, or donating unwanted items to goodwill. But let me ask you this; do you clean out your medicine cabinet, too? If you're like most of us, the answer is probably no. Throwing out anything expired, discontinued/recalled, or partially used (including any over the counter medicines) is critical to a healthy medicine cabinet. Medicines lose potency when they have gone past their expiration dates and it is recommended you check your medicine cabinet at least twice a year, getting rid of medications past their prime. Elvis is often referred to as the King of Rock 'n' Roll or simply "the King". 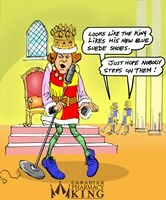 "...You can do anything but don't step on my blue suede shoes..."
We love celebrating the lives of people who inspire us, motivate us, or all around entertain us. 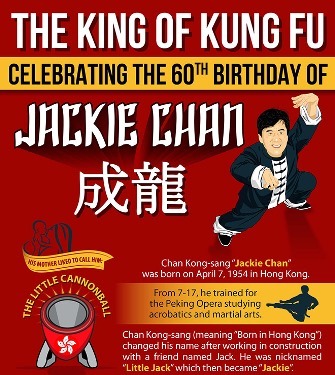 With this in mind, the King of Kung Fu, Jackie Chan is turning 60 years young this year and we're excited to present this infograph of his incredible story. Jackie has done some phenomenal things throughout his life thus far. For instance, do you know how many bones this man has broken doing his own stunts? If you have no idea – fret not – we have you covered. Happy reading! 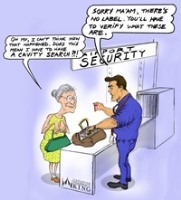 The Transportation Security Administration (TSA) recommends to pack all medications in original labeling and make your screening experience hassle-free! People all over the world celebrate St. Patrick's Day with fervor, but few of us are aware of the mysteries surrounding the man. In fact, many mysteries surrounding the patron saint and national apostle of Ireland will never truly be answered with certainty. So before you take to the streets to celebrate with parades, don the color green or pin a shamrock to your lapel, blast the Irish folk music, indulge in Irish food and drink, or dye your local rivers or streams green, take a moment to learn a bit about the man behind the myth. 1. What's in a name? St. Patrick was born around the year 385 AD with the birth name Maewyn Succat, according to legend. Whether you're planning a short trip or a long one, even the most solid of prescription medication regimens can be thrown into chaos and even to the point of danger by traveling without proper planning. There's a lot to consider and with summer around the corner, we have some insights to mull over before you take off for your next vacation. Depending upon the level of your regimen, you can take advantage of some or all of these tips. Let us know what works for you, or if you have some suggestions of your own to add to the list. 1. Talk to your doctor before your trip. This is a no-brainer. Tell them where you plan to go, how long you will be gone. They can help you plan out how changes in environment and time zones could or will affect your prescription regimen. 2. 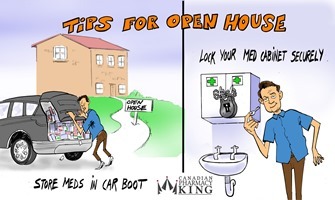 Keep all drugs and medical equipment, including syringes, needles, catheters, etc., in their original containers. We know it's tempting to schedule your medication in a pill holder before you leave, but according to the Travel and Safety Administration (TSA) you must avoid making your medication hard to identify. Did you forget to put your clocks forward last summer? 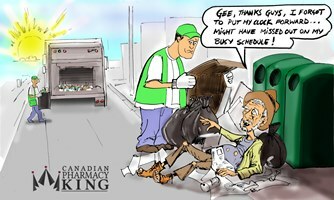 Hopefully it wasn't the garbage men who woke you up! Although most of the health-promoting benefits of sun exposure are thought to occur through vitamin D photosynthesis, there may be other health benefits that have gone largely overlooked in the debate over how much sun is needed for good health. Make the most of the increased hours of daylight. 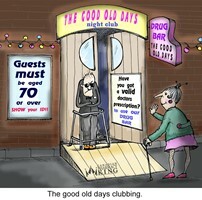 Clubbing does NOT stop at 70. Go clubbing with an id and a valid doctor's prescription! I don't know about you, but I'm pretty excited to watch the Oscars this year. Why you ask? For starters, who doesn't love watching the actors and films we love being honored by the Academy of Motion Picture Arts and Sciences (AMPAS)? Besides, this year's theme is all about Heroes and hosted by the supremely talented (not to mention hilarious) Ellen Degeneres. What's not to love? One of the biggest changes in the Oscars this year is the way they are truly heading into the 21st century, as ABC prepares to launch their first ever live-stream telecast of the prestigious program.